While stone fireplace are most at risk for soot stains and darkening over time, stone countertops can be damaged by spills and neglect. To best protect the stone used in both situations, preliminary work is essential. How Often Do I Treat My Countertops? If your countertops are made of engineered stone, no sealing is required. However, if your countertops are made of granite or limestone, repeated care may be required annually. Limestone and marble countertops are softer than granite and should be treated four times per year following a gentle cleansing. Stains and dark discolorations can be removed with a gentle pumice scrub, then the stone can be sealed. Granite countertops are less porous than marble or limestone and require sealing twice per year. Again, check the surface for any staining or acid discoloration prior to sealing. All stone countertops are susceptible to darkening over time, but a gentle abrasive cleanser can brighten the surface of your stone countertops Utah. A critical aspect of proper care for stone countertops is to wipe up spills as soon as they occur. This will reduce the need for an abrasive cleansing. Silicone impregnator is crucial for proper care for stone countertops. This product can be applied with a white cotton cloth and is simply rubbed into the stone surface. Whether treating stone countertops or simply cleaning them, milder is better. Do not use citrus based cleaners on your stone countertops Utah. Before sealing your fireplace stone, it must be properly cleaned. It's critically important to use a neutral pH cleaner for this crucial first step, or the quality of your seal may be impacted. Stone fireplaces will absorb any smoke or other particulate matter if not sealed prior to lighting that inaugural fire. Choose the right sealing product for your particular fireplace stone. Limestone is a very soft stone and requires a deep, penetrating sealer to protect the porous surface. 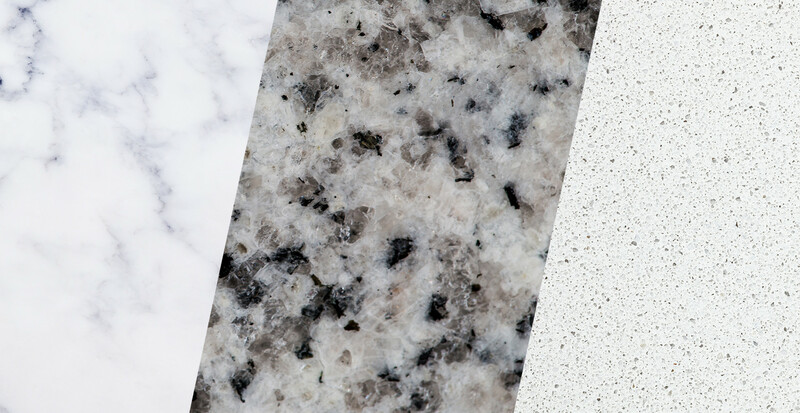 Marble is less porous and needs less penetration, while granite is even more durable. However, any natural stone close to a fireplace will require a quality seal to protect it from darkening over time. To check the current seal on your stone, sprinkle water on it. If the seal is worn, the stone will darken and needs to be re-sealed. If water beads up on the surface, your seal is intact and your stone is protected. Natural stone is a gorgeous feature in any home. A soot-blackened hearth will take away from the warmth and brightness of your fire. Additionally, countertops stained by citric spills over time will make your kitchen look dingy and unpleasant. Treating your stone countertops and fireplaces with the right cleanser and protecting them with the right sealer is an investment in the future of your home.